Premium Training by 2D Animation 101. 2D Animation 101's Premium Video Course, The Rogue Animator, aspires to teach you how to create your own 2D animated short in ten days. To do this, course instructor, Mark Diaz, takes you through his entire process of creating one of his animated shorts, then, helps you through the same process using your own idea for a production. The course is targeted at beginner to intermediate animators (or anyone struggling to achieve an efficient work flow), who are generally one person teams, looking to get their own ideas into the world through video sites like YouTube. In the introduction video Mark explains exactly how much time you'll need to set aside each day to complete the course in ten days. He also understands that not everyone will have that much time to spare so offers some alternative, longer timeline examples. The key point being, that you need to take the time to watch the videos and apply the concepts on a consistent and, ideally, daily basis in order to achieve the course goals. short you'll be creating your own version of. The course its self is divided into days, so you know exactly how much you need to do to stay on schedule. As you follow Mark creating his short animation, each video has a short quiz attached with one or more questions. These are not usually difficult and are just there to help you retain what you've learned. Each day ends with downloadable work book pdf's that summarize the main points of the lesson. Mark also makes all his working files and assets available so you can study them yourself if you wish. There's also plenty of opportunity to ask questions and get feedback on every stage of your learning. At the end of the first ten days (if you stick to the schedule) you'll have learned a repeatable workflow for creating your own animated shorts. You will also have your own version of Mark's animated short to demonstrate that you can produce a complete animated production quickly. From there, you should have the confidence to go through the exact same work flow again, but with your own, original idea. Stage 2 includes an introductory video but, after that, there is no video lessons for this part of the course. Instead you step through a written schedule, each day, that reminds you of what you should be working on. You can still ask questions and get feedback on your work as you go, so you're not simply going it alone on your very first original animation. The Rogue Animator is not designed to teach you how to animate well, or mix sound well, or edit your final animation well. In fact, your purchase comes with several of 2D Animation 101's other courses bundled that go into the specifics of creating different aspects of animation and the software used in much more detail, if you are looking to improve your skills. It also includes a great course on how to make money from animation and design through sites like fiverr.com. The main purpose of the course is to teach a repeatable workflow, that a single person production team (i.e. a rogue animator), can put into practice to produce complete animations quickly. The kind of workflow needed to succeed on sites like YouTube, where uploading new videos with some consistency is necessary in order to grow a channel. Overall, I think it succeeds. The biggest take away is the work flow. If you were to adopt the same schedule using Mark's tips to speed up production, you could easily become a very prolific content creator of animation. Mark, himself, encourages you to use this workflow to animate any small idea you have. Don't wait for epic ideas of awesome, just animate a joke or some other small thought you may have had. You may not be great right now but the more you repeat the process the better you'll get. Your confidence will grow to tackle more ambitious projects using the same workflow as your skills improve. The course does focus heavily on specific software applications such as Adobe Story, Photoshop, Moho, Audacity and Adobe Premier. Which is great if you have those applications. It'll really help you use them more effectively and remember where everything is. With the level of detail Mark shows his process I think you could follow along even if you've yet to learn any of the software being used. However if you're following along with other equivalent software, which Mark says you should be able to do, you will find the detail Mark demonstrates each application a little irrelevant. Thankfully he does fast forward through processes you've already seen him perform in detail, so it's not a big problem. Though I did find it a little annoying that some of the daily quizzes asked recurring questions about short cut keys used in specific applications. e.g. I don't need to commit Photoshop short cut keys to memory if I'm not using Photoshop to create my graphics. Mark's enthusiasm, style of teaching, humor and his general, on camera presence does make this course very easy to keep coming back to. You never feel like it's all too hard, especially with the many shortcuts presented to overcome common hurdles to completing an animated short. What I particularly like about this course is that it is geared towards showing how one person can achieve an efficient production schedule and produce animated shorts on a consistent basis. It's not targeted at professional animators. It's for people who have an interest in animation and are just finding their feet, or have made some in roads but haven't figured out how to schedule their time to complete projects quickly. lip Syncing in Moho Pro. There's enough here to get you started as an independent animator creating short, 2D animations for a YouTube channel, even if you've never animated before or don't think you can draw well enough. Once you learn the very important skill of actually completing an animation, you'll be able to improve all those secondary skills with every new project (and completing some of the bundled courses). 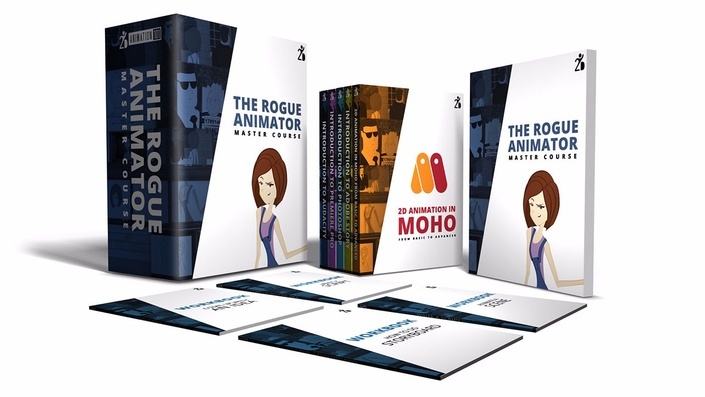 If the idea of becoming a 'rogue' animator sounds appealing to you then I highly recommend this course as an essential starter. Much of the software used is relevant to a professional career in animation if that's your dream. 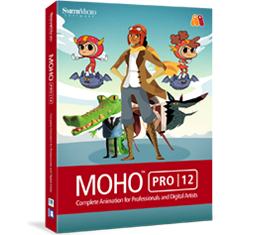 Moho, in particular is gaining ground in the professional animation space for its advanced features. If you just want to animate as a hobby then you won't be overloaded with information. You'll learn just enough to get a great kick start into animating your own ideas and stories. 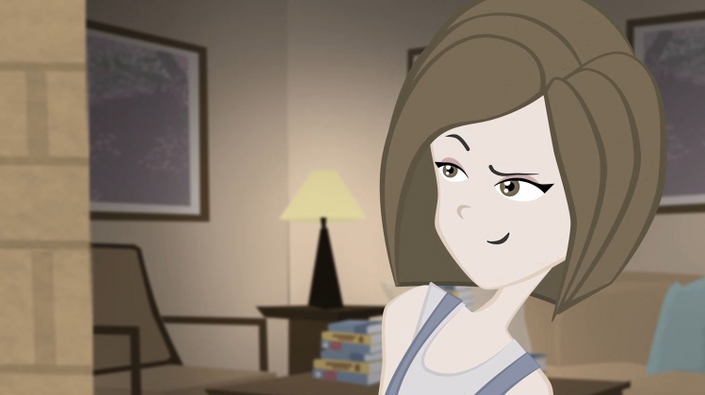 The important thing is, you'll know how to get your idea to a completed animated short. Learn more about The Rogue Animator on 2DAnimation101's website. 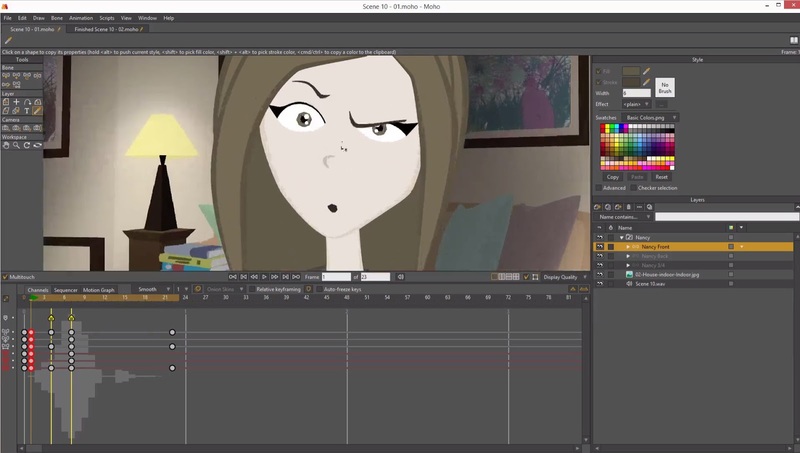 * This post contains Affiliate Links to 2D Animation 101 courses. Thanks for reading. Even if you don't sign up for this paid course 2D Animation 101 has a free video course you can sign up for that contains plenty of useful information for creating your own animated shorts. Visit their site for more information.